There’s a force working within each one of us that we tend to ignore. There’s a still small voice that is whispering to us. Inspiring us to choose the right road. The Journey Into Reflection will not only cause you to reflect on your own life, but also to view how the Creator has been moving through your life since the beginning. This book will help the reader listen to their own heart. All the strength you need has always been inside of each of us, The Journey Into Reflection teaches us to just look. To just step. To just act. To just be whoever it is that we are. That is our journey. A rollicking read, multifaceted, entertaining and enlightening! 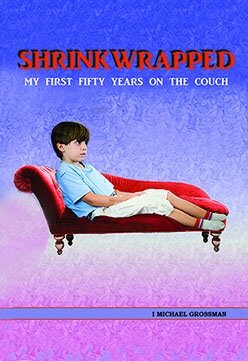 Shrinkwrapped recalls the 1950’s when therapy initially came to the U.S., revealing the powerful bias that existed against anyone who dared to see a “shrink.” In his Siddhartha-like quest, the patient encounters an amazing range of therapies–from classical lie-on-the-couch Freudian analysis to new-age touchy-feely methodologies. Shrinkwrapped is also love story, often funny but with candid scenes of the battles that are prerequisite to a successful marriage. Searching for the meaning of life's experiences? Your soul purpose? Unlocking the Invisible Child: A Journey from Heartbreak to Bliss reveals the key to self-healing of body and mind, through the grace & gratitude of the heart and soul, via the voice all knowing, compassionate invisible child within. In Unlocking the Invisible Child: A Journey from Heartbreak to Bliss, Laura Mayer shares her remarkable journey that began with the discovery of a crippling and supposedly fatal disease at the age of fourteen, the forty year course of the disease, along with her multistage self-healing process, and suggests that anyone can take a similar journey to heal their own life. She helps us to understand the energetic root of a disease and how healing must take place on a cellular level. Mayer knows that all the medicine in the world could not have healed her had she not gone deeper and unlocked the invisible child inside her. Through her own life experience Mayer offers her readers a deep understanding of how wounds of the inner child must be released in order for a complete emotional, physical, and spiritual healing to occur. Over the past five years, Mayer has witnessed a total transformation in body, mind and spirit. Aware that if she could mend her heart, her body would heal, she started to trust in the universe and listen to its messages. 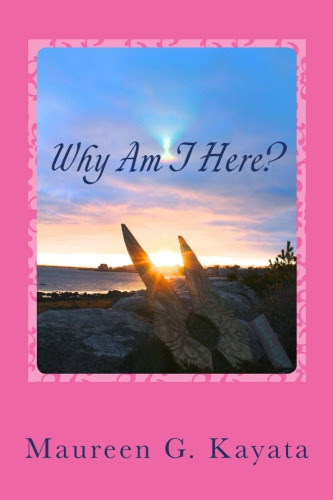 Her hope is that readers of this story will, through catharsis, begin to feel the power of healing energy in their own lives. Inner Child Healing from Laura Mayer on Vimeo. This book presents an ethical theory designed to go beyond ideology in order to develop a basis for morality that transcends self-justified rules. The limitations of classical ethics have become more apparent as political strife and socioeconomic dysfunction have intensified in our "smaller" world. Filled with controversial ideas, this is a book that is designed to engage the reader and spark healthy debate. Among the many issues discussed in the second half of the book are broad ranging critiques concerning the economic system, especially the current monetary and real estate systems. The potential abuse of scientific paradigms and the possible suppression of scientific discovery and invention. Political parties. A general discussion of the ethics of truth and the matter of conspiracy theories. And a long-term view of how a peaceful and flourishing world is possible.